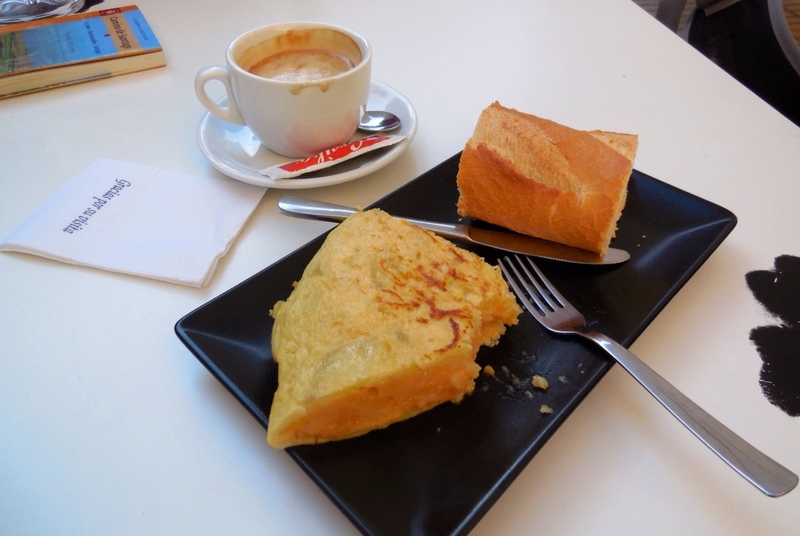 A breakfast to die for: cafe con leche (coffee with steamed milk) and tortillas con huevos y patatas (like a frittata with eggs and potatoes). Just had to tell you I was out walking yesterday, in the rain, and walked from Wormit to Balmerino and back. Sat on the wall outside the ice house and thought about you. Then had lunch in the View ,[ new name ], which was where we went one night for an evening meal. Absolutely delicious. Happy happy memories. Isn’t The View the old Tay Bridge Halt? We went there before the Titanic movie, right?